Preheat oven to 350°F. Sear the sausages in a pan with a little oil. Once browned on both sides, add in the beer, deglaze the pan and bring to a simmer. Simmer for 15 minutes until mostly cooked through but a little pink in the center. Meanwhile, grate the cheese and mix it with the cream cheese. It will be clumpy and hard to mix, but that's okay. Thaw your hash browns on paper towels and squeeze them to remove most of the excess moisture. Line the baking dish with hashbrowns and press them down to form a crust. 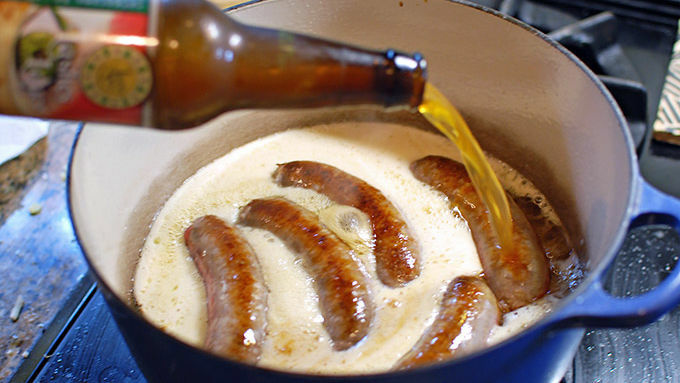 Strain the beer from the sausages into a measuring cup. Put the sausages onto a cutting board and let them sit for 5 minutes. 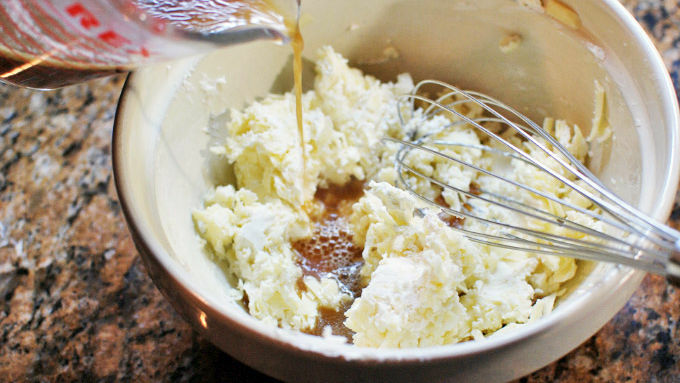 Whisk the beer into the cheese mixture to form the sauce. Slice the sausages and line them up on top of the potatoes. 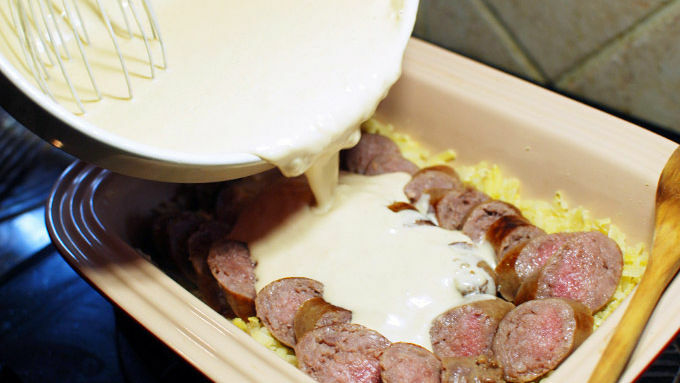 Pour the cheese sauce over the sausages. Bake for 30 minutes. Remove from oven and allow to cool for 10 minutes before serving. Mix the butter and breadcrumbs in a frying pan and mix and cook until golden brown and crispy. 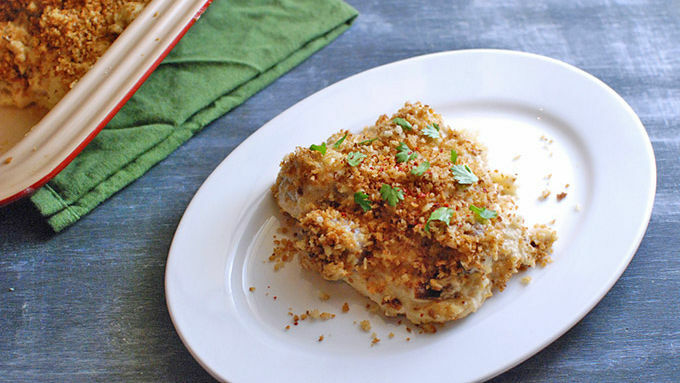 Top the casserole with the breadcrumbs before serving. 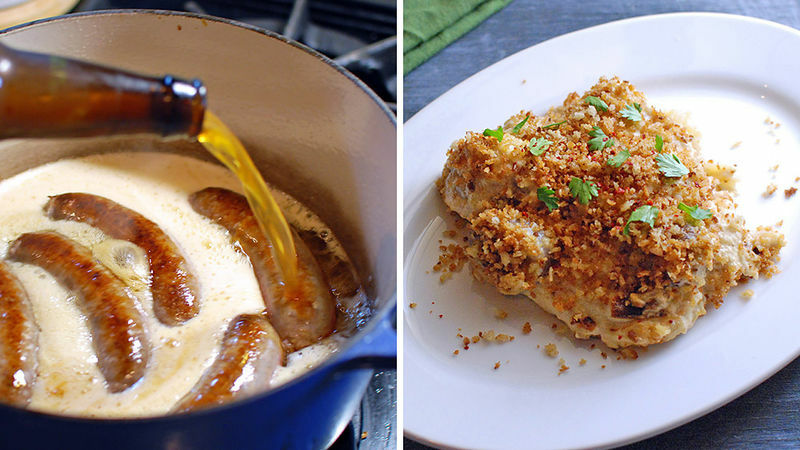 An easy dinner for beer and brat lovers made with plenty of cheese. This is game food at it’s finest. Beer, bratwurst sausage, cheese and potato. What else could you even want? The best thing about this casserole is how much flavor it packs with such few ingredients. That’s because we are starting with really flavorful ingredients and letting them do all the heavy lifting! I suggest a German-style bock beer for this to go perfectly with the bratwurst sausages. I used a more modern type of bock called maibock, which is a bit lighter in color and more hop-forward. This one in particular was called Lashes Lager from one of my favorite Boston area breweries, Jack’s Abbey. This is super comforting, filling food for this time of year. Tuck into this while you watch the game or a movie and you won’t want to move for a while!